If you are successful, you’ll be joining a progressive business, working in the Credit Control team as part of the wider Finance team in a fast paced environment. The Credit Controller will be responsible for the Sales Ledger for both Gaelic Plant Hire and ELEV8 Platform Hire and requires the ability to establish and maintain good client relationships and to reduce debtor days by pro- active control of debtor balances. Newly created position due to expansion & funding. Opportunity to fast track your career within our energetic, customer orientated & progressive organisation. 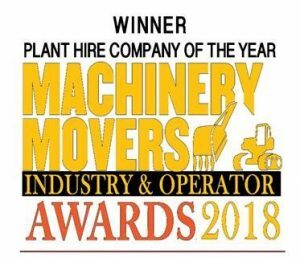 Based in Wicklow off the M11 – Exit 18, we operate a modern & relatively new fleet of plant & access equipment from a range of leading manufacturers & brands. Rigidly manage credit control function of the business within pre agreed timeframes. Excellent PC and MS Office skills – excel, word, accounts packages. Client focused on both internal and external customer requirements. Ability to work on their own initiative and also to work as part of a wider finance & operations team. Confident, diligent, responsible and self-motivated.